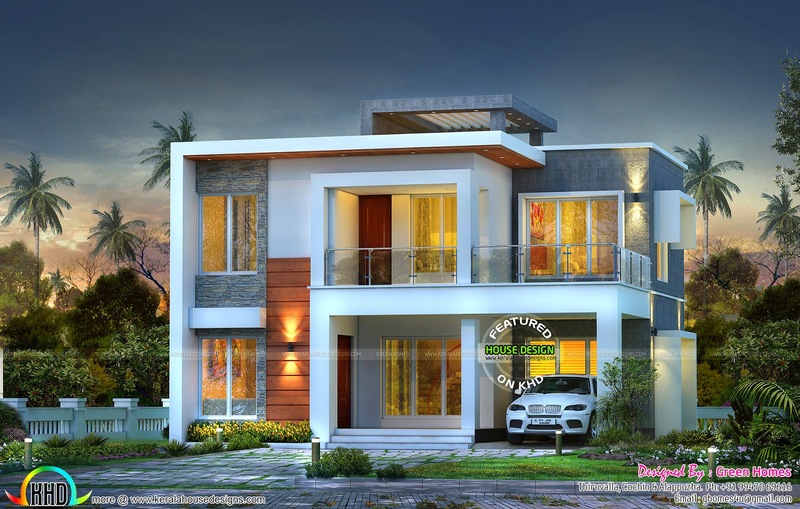 1800 Square Feet (167 Square Meter) (200 Square Yards) 3 bedroom modern contemporary home architecture plan. Design provided by Green Homes, Thiruvalla & Cochin and Alappuzha, Kerala. Ground floor area : 1000 Sq.Ft. 0 comments on "Contemporary 3 bedroom home 1800 sq-ft"